Our Premium Packages have no upfront fees. Traditional Agent total cost is based on 7% on first $100k/2.5% on Balance (incl buyers agent commissions*) By using the interactive calculator you will have a transparent knowledge about the amount you will spend and save. What are considered traditional commissions charges? Traditional Agent total cost is based on: 7% on first $100k/2.5% on Balance (incl buyers agent commissions*). In other words, on a home worth 1.5 Million your total commission will be over $44,000.00, use the commision calculator found on this page to see how much you can save. What is the Benefit of listing with Zane? Zane understands that every client’s needs and goal are different, they’re not one property that is identical. 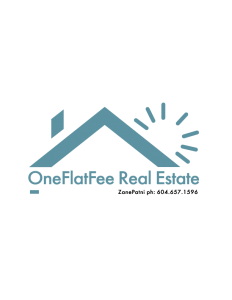 Zane’s fee structure is transparent before you list, and also during your negation with the buyer(s), also right up to the point of closing, you will know your net total. Your welcome to try the commision calculator to see how much you will save. Is there tax on the Fees? There is only GST on the total commission (5%). You are welcome to use the commision calculator found on this package to determine the amount of GST paid. Needless to say, the less you pay in the fees the less you pay in GST. Every property is different, every client needs are different, and the market is ever changing. There is one constant. The MLS© System which continues to prove to be the most efficient method of selling your property the fastest and for the most money along Zane’s extensive technical background, work ethic, and negotiating skills you will be amazed by the results.